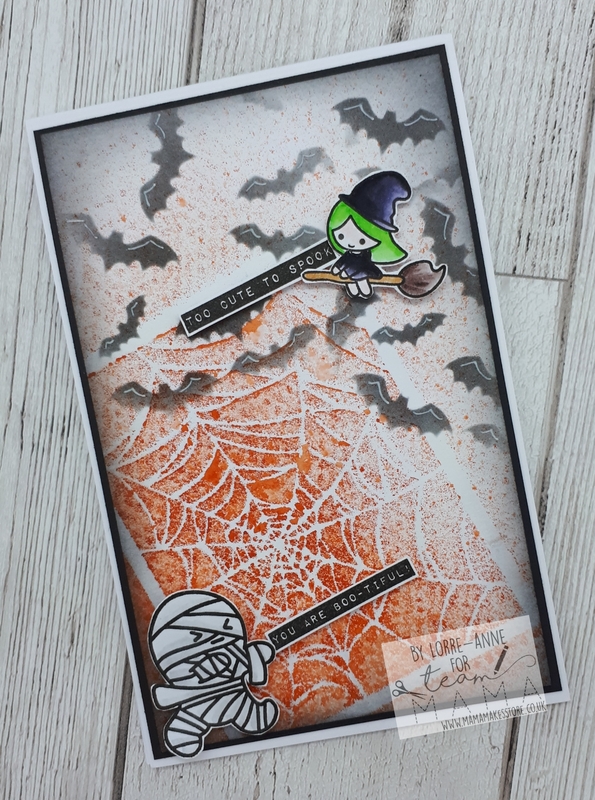 Hi everyone it’s Lorre-Anne here with a new DT project for you all, and for this one I’ve used the fabulous new Halloween stamps recently released by Mama Makes and Bella Hijabi. I love these cute little monsters, and I’ll definitely be making both my wee boys a Halloween card this year using them. Cut the card blank down to a 6”x4” tent fold card. Cut black card slightly smaller than the card blank, and a piece of white slightly smaller again. 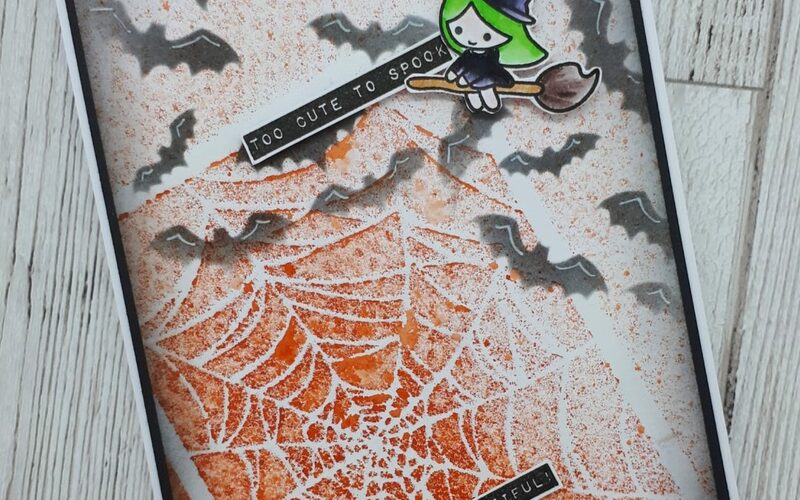 Take the white card and place the Spider Web stencil on the bottom left corner and then spritz some Dylusions spray through it. Remove the stencil and dry the card with a heat tool. Blend some Black Soot through the Bats stencil in the top right corner, and then blend some Black Soot around the edges of the card. Mat this to the black card and glue to the card blank. 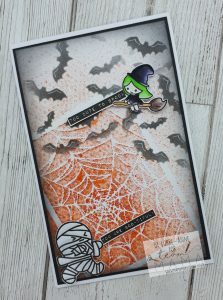 Stamp the mummy, witch and sentiments using Versafine ink. Add some colour to the monsters using pens, and then carefully cut them and the sentiments out. Attach to the card blank using foam pads. Finish by adding some highlights to the bats using a white gel pen.